With over 1 billion active users Gmail is now the world’s most popular email service. Users like it because it’s fast, reliable and has very robust spam filtering. The average Gmail inbox contains less than 0.1% spam, and less than 0.05% of wanted email end up in spam. And, although ad-supported, it’s completely free. Free? So why would you pay for it? Companies rely on email as their primary communication tool. Having an easy-to-use and highly dependable service is a fundamental requirement for almost any business in 2017. Setting up and maintaining your own email server is not a practical or affordable option for many SMEs. Email hosting provided by ISPs varies greatly in terms of the level of service. And whether you like it or not, Google simply has the scale, infrastructure and product innovation that few, if any, can match. Google charges ¥500 per user per month for what it calls the G Suite. Paradigm moved over to the service about two years ago and we have been very happy with it since. Activating it involves an easy-to-use migration process to setup email addresses with the domain name of your choice and after that the only reason we ever need to go into the administration section is to add a new staff member. For us this all equates to productivity. 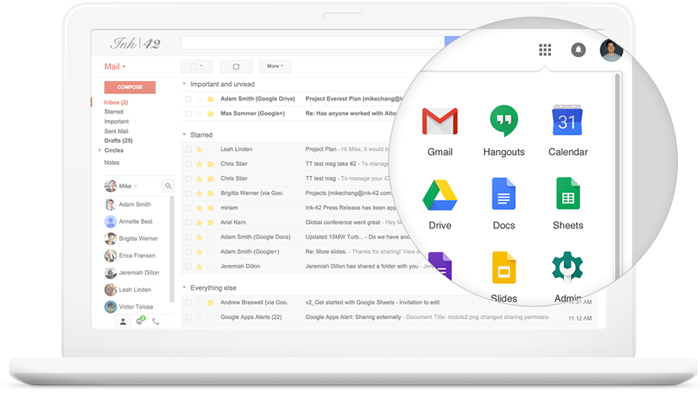 Less interruptions, no down-time, very fast interface options and Apps with Gmail or Inbox and no need to worry about backups. Hours of no email where the ISP is down or upgrading are something of the past. Although primarily you are paying for email service, users also get access to Google Calendar, Google Drive, Google Docs, Google Sheets, Google Slides, Google Forms, Google Drawings, Google My Maps and Google Sites. Paying for G Suite offers many enhancements that are not included in the free version. 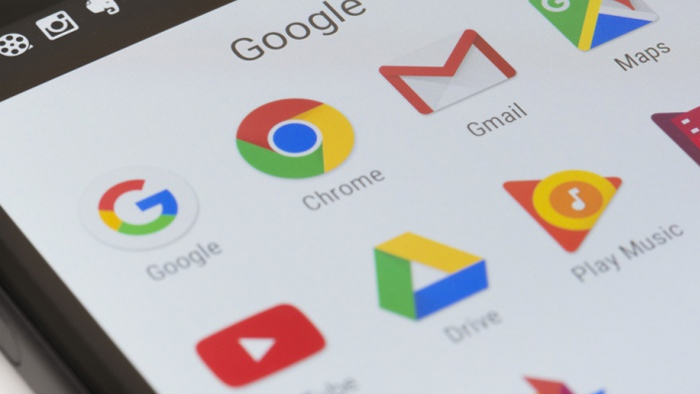 Now that we are all working with a corporate Google account, using these tools in our daily workflow has made them essential in many ways. You suddenly realize that live-editing documents with other staff, and even clients, has some real productivity advantages. Co-editing a slide show can save hours and make sure all parties have their say instantly instead of waiting for long email rounds. Crucial client presentations can be tweaked from anywhere right up until the last moment. It’s easier to share documents with your team when you’re all on the same G Suite account. For example, if you wanted to give all employees access to a Google Doc, that can be accomplished with just a couple of clicks. More file storage. The default storage for free Gmail accounts is 15GB. For G Suite Basic, it’s 30GB per user. Security. G Suite has an important layer of security that can be enforced for all users, if the admin decides to do so. This layer is known as 2-Step Verification. Plus you get; guaranteed uptime, 24/7 support, and no ads. At first glance paying for a “free” service seems barely worth it, but this is one of those cases when all the parts are working together the value becomes exponential. And the more we integrate the G Suite into our workflow and process the more convinced we are that it was a good business decision.